Every day we learn more about the environment and our interaction with it. The science and details are complex and wonderful - but what is clear is that our relationship with the environment is out of balance and that human behaviour must change. We need to learn to live gently and more in harmony with God's creation. But how do we change? Religious traditions and mystics have used prayer and meditation to bring about change for centuries. Prayer is the powerhouse that inspires us and keeps us from burning out. Prayer helps us to transform our mindsets and to act from a more rooted place. A Heart for Creation offers prayers, worship resources and reflections to help individuals and groups effect change. 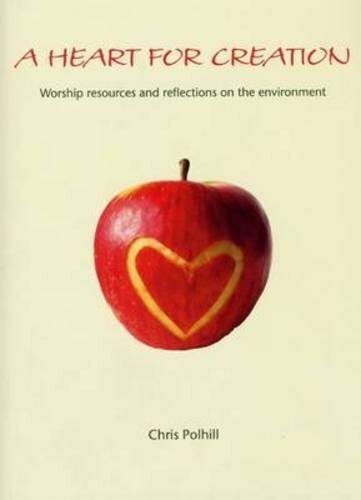 From our love for God and love for creation we can grow in our care for the earth as exhorted in the Bible. Chris Polhill's previous books include Eggs and Ashes: Practical and Liturgical Resources for Lent & Holy Week (with Ruth Burgess), and A Pilgrim's Guide to Iona Abbey (Wild Goose Publications).